The trigger to phobias often are set before the age of 7 when the conscious mind isn’t quite developed enough to put things into perspective as we are able beyond these intervening years. At this stage usually they are not presenting a problem. However any similar high feeling responses to situations get stacked onto the feeling memory banks. The more one tries to suppress the feeling the bigger the issue seems to become with time and focus. As they say whatever we resist persists. One gets fractured in trauma therefore the underlying trigger needs to be understood, released amd healed. This can be achieved quickly with NLP, hypnosis and other advanced personal development processes. You’ll have your personal hypnotherapy recording and some resources to utilise additional to the changes facilitated in your session to further support you. 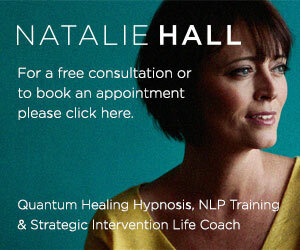 I offer these sessions on a 1-to-1 basis in the Bournemouth and Poole area of Dorset & via Skype. Get in touch today.